1 Project Management Institute. 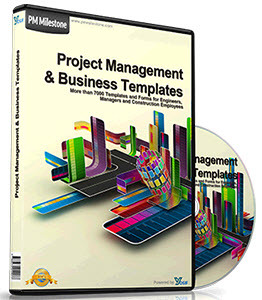 Project Management Factbook. Newtown Square, PA: Project Management Institute, 1999. 2 Italy is a noted exception where many occupations, if not most, are recognized as professions with a legal mandate enforcing privileges and responsibilities of membership. 3 Roach Anleu, Sharyn L. The Professionalisation of Social Work? A Case Study of Three Organizational Settings. Sociology 26 (1992): 23-43. 4 Hugman, Richard. Organization and Professionalism: The Social Work Agenda in the 1990s. British Journal of Social Work 21 (1991): 199-216. 5 Zwerman, B., and Thomas, J. "Potential Barriers on the Road to Professionalization," PMNetwork, Vol. 15 (2001): 50-62. 6 Abbott, Andrew. The System of Professions. Chicago: University of Chicago Press, 1988. 7 Aldridge, Meryl. Dragged to Market: Being a Profession in the Postmodern World. British Journal of Social Work, 26 (1996): 177-194. 8 Hugman, Richard. Professionalization in Social Work: The Challenge of Diversity. International Social Work 39 (1996): 131-147. 9 Labaree, David F. Power, Knowledge, and the Rationalization of Teaching: A Genealogy of the Movement to Professionalize Teaching, 62 (1992): 123-154. 9 Zwerman, B., Thomas, J., Haydt, S., and Williams, T. Professionalization of Project Management: Exploring the Past to Map the Future. Newtown Square, PA: Project Management Institute. 10 Crawford, L.H. Global Body of Project Management Knowledge and Standards. In P. W. G. Morris, and J.K. Pinto (Editors), The Wiley Guide to Managing Projects (Vol. Chapter 46). Hoboken, NJ: John Wiley and Sons, 2004a. 11 Crawford, L.H. Professional Associations and Global Initiatives. 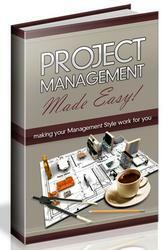 In P. W. G. Morris, and J.K. Pinto (Editors), The Wiley Guide to Managing Projects (Vol. Chapter 56). Hoboken, NJ: John Wiley and Sons, 2004b.